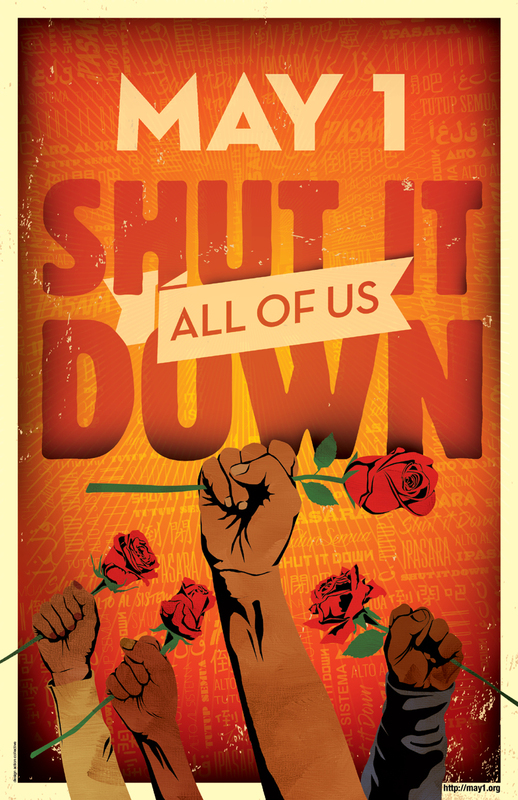 Design Action Collective | MAY 1st — SHUT IT DOWN! MAY 1st — SHUT IT DOWN! 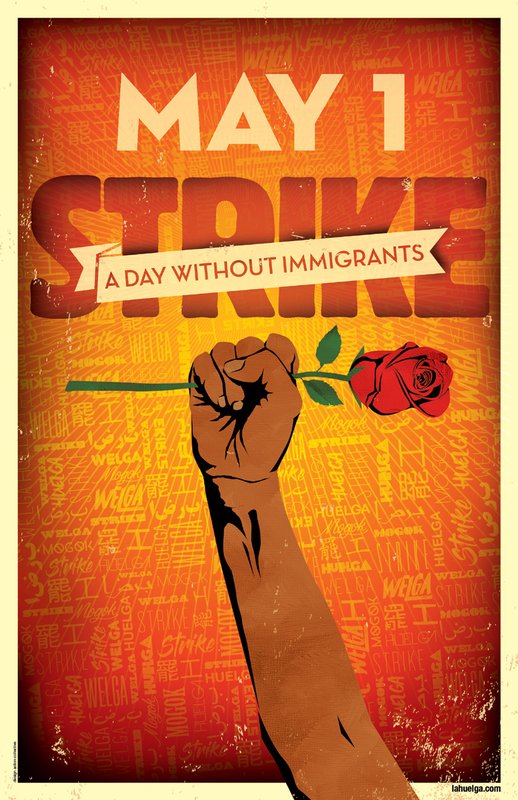 May Day is International Workers Day, and since 2006, it has been a national day of immigrant rights marches in the US. 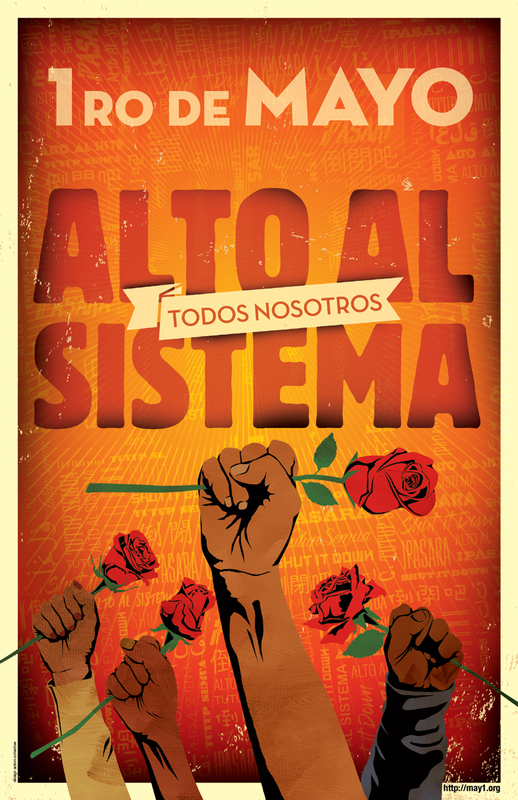 Immigrant rights organizations, unions, the California Women’s March and the Bay Area Climate Mobilization are supporting the call for massive marches and strikes this May Day. Will you join us on May 1 in striking or marching to shut down Trump’s agenda? It’s time to fight the attacks on the freedom, dignity and human rights. It’s time to RESIST. 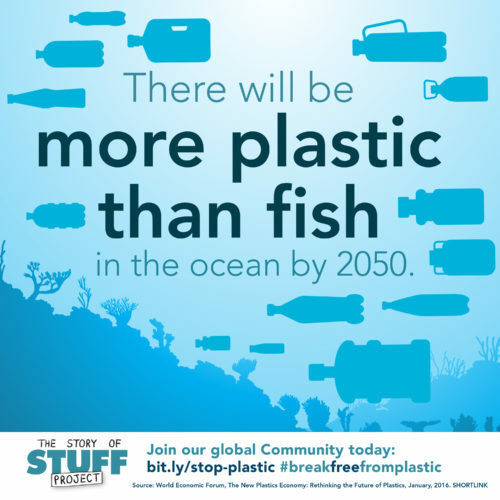 It’s time to defend the humanity of each and every one of us. Bay Resistance is a powerful new organization preparing to defend our communities, our movements, and our planet. 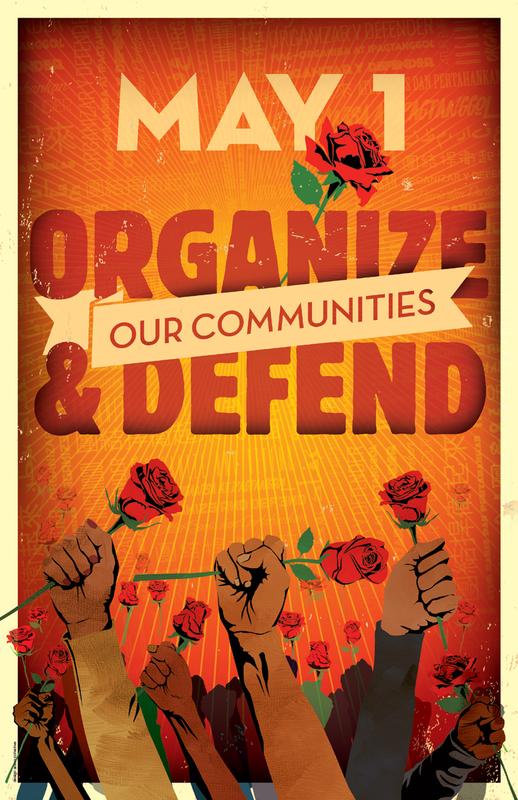 The mission of Bay Resistance is to advance racial, economic, climate, and gender justice by activating individuals and families to build a just world for all of us. 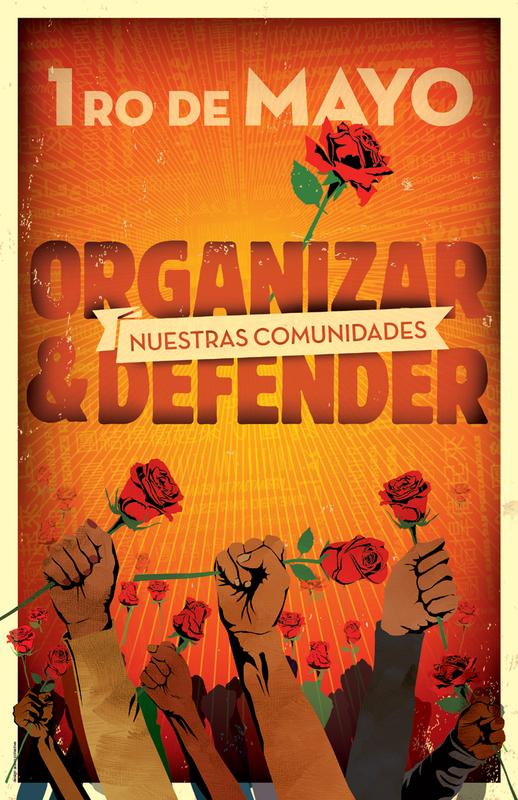 Bay Resistance is leading the way by offering trainings and organizing for building a unified front of resistance in the Bay. Sign up here to get rapid response text messages for urgent actions and trainings. 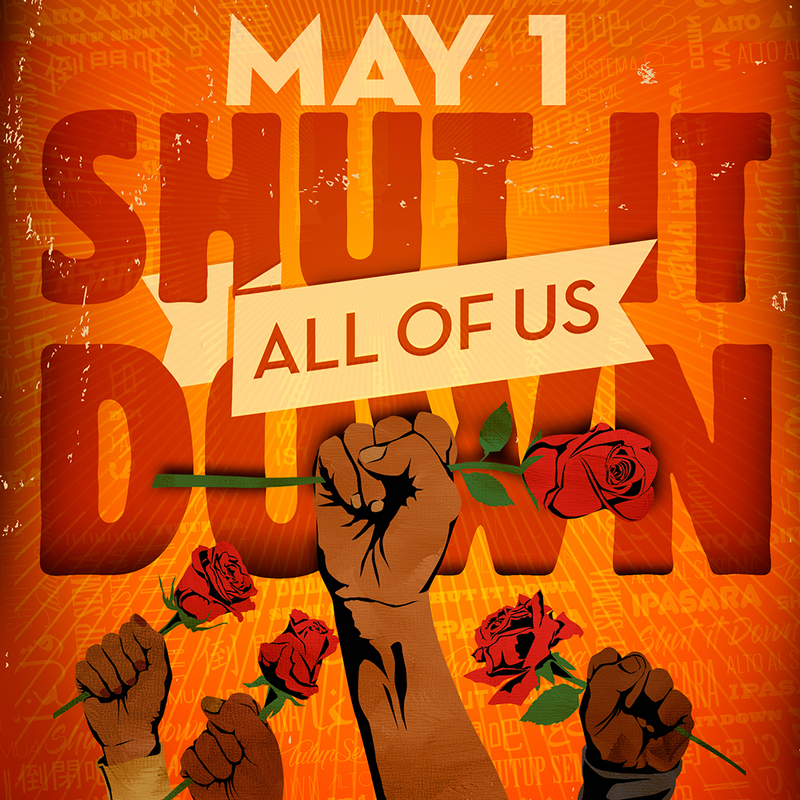 May 1st – Shut it Down! Pledge to strike on May 1st and join us. 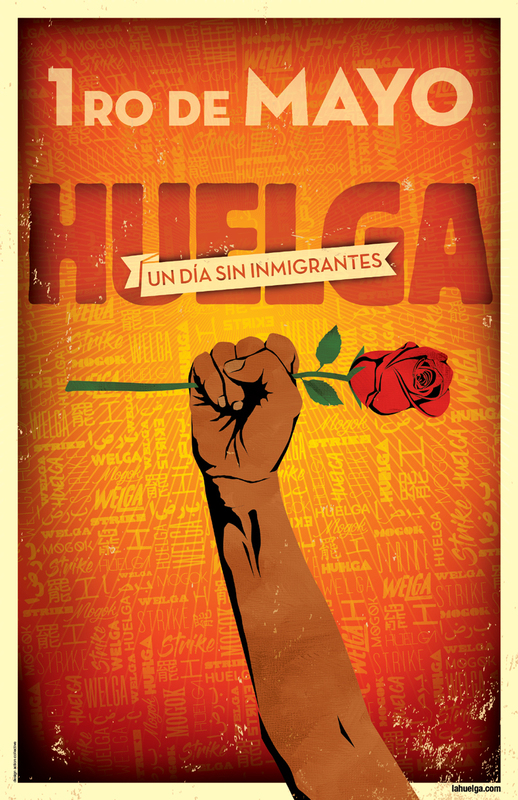 Cosecha, SEIU, and Oakland Sin Fronteras developed messaging with us for a series of posters for May 1. Three worker-owned union print shops across the country—Community Printers in Santa Cruz, Salsedo Press in Chicago, and Red Sun Press in Boston—are all doing print runs to donate to the organizations.